In last week’s blog I wrote about the visit to Talacre I made after my favourite sea fish, the dab. On holiday, the rest of the time I spent pursuing what is probably no-ones number one, whiting. Not that there’s anything wrong with them, just that there are probably more inspiring species around. I like them though, enough to actually target them. 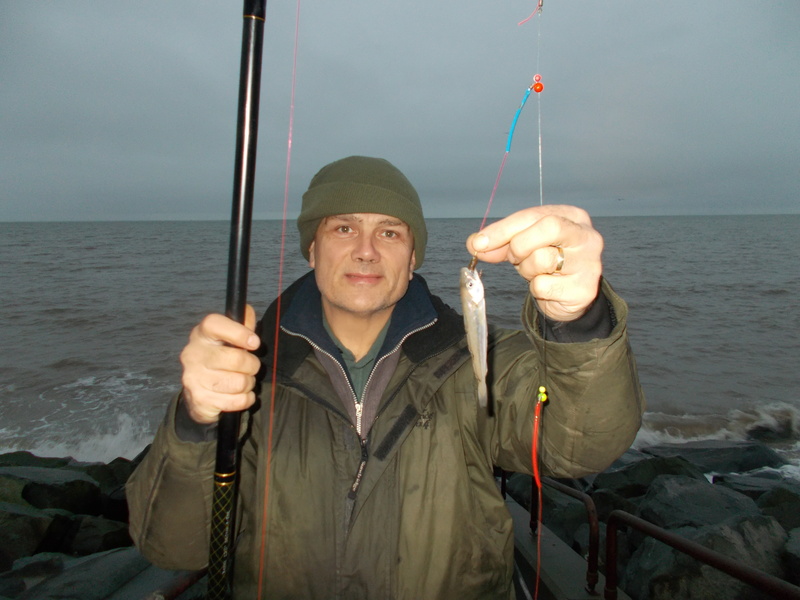 This is the time of the year onwards that whiting turn up in vast numbers around the British Isles. And when I say vast I mean exactly that; there must be millions of them in total. While certain times of the year can be a bit of a struggle, one thing you’re pretty much guaranteed during winter is a whiting. I like to catch better-than-average fish whenever I’m fishing, but with whiting more than most, it’s a case of wading through the small ones. 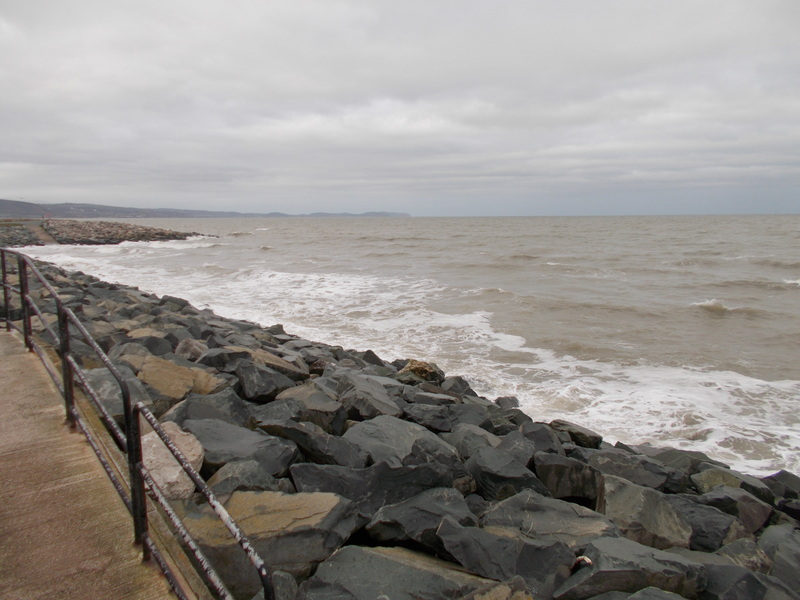 Staying in the Kinmel Bay area of Denbighshire, I fished the beach at the front of the caravan park. 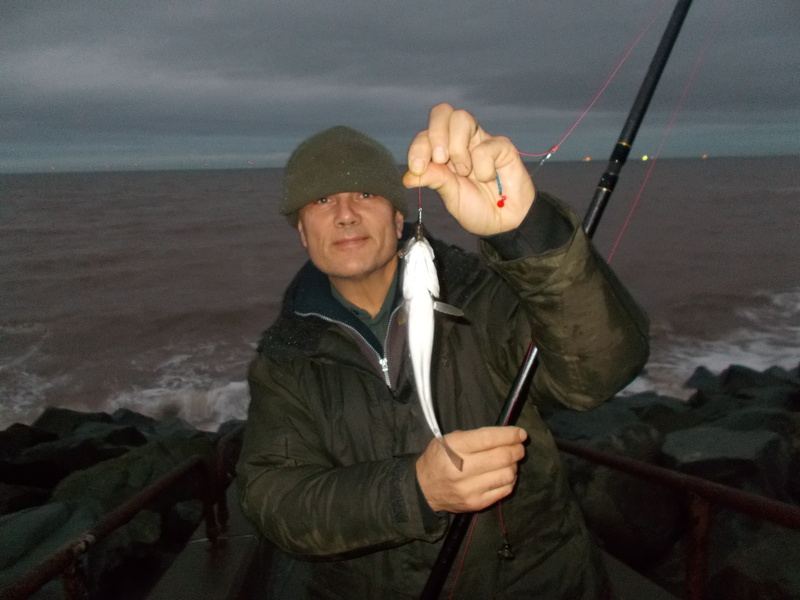 With the seafront just seconds away it all made for some very comfortable angling. Plus I had the added bonus that my wife surprised me a few times with a mug of tea. Not to forget the one night I forgot my tip light, which she brought out to me. What a wife eh. I usually fish two rods, but with high tide pushing right up the narrow steps, there was only room for one. 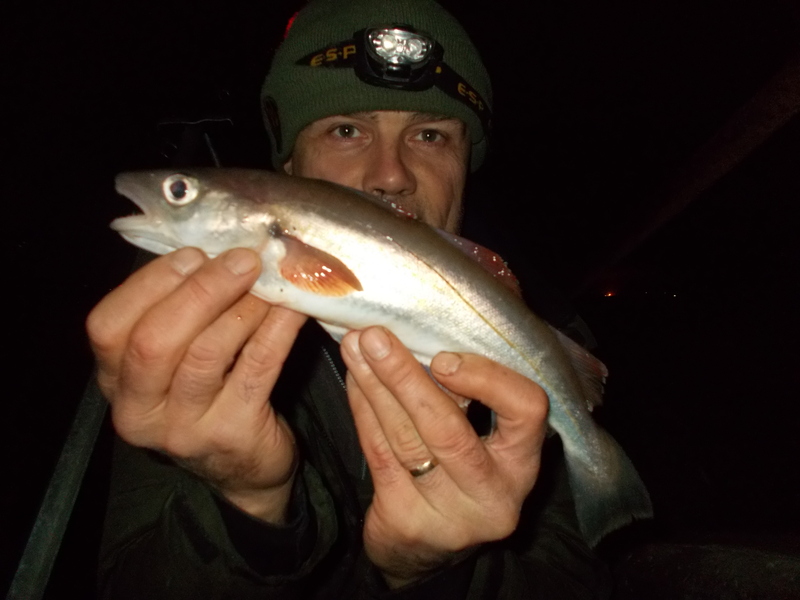 Plus this is whiting we are talking about and very often, when you’ve got a serious shoal of munchers in front of you, one rod is plenty. And on that I had pretty much non-stop action every time I ventured out. Fishing two-hook rigs I had plenty of double-headers. I really enjoy sea fishing and if I lived closer to the coast I’d definitely be doing a lot more. However, living right in the middle of the country, not only is travelling time a big factor but also petrol. But I recently officially went semi-retired so that certainly opens up lots more opportunities for vacations, which in turn feeds my salt-water fishing hunger. As well as angling I’m also a keen naturalist and of course that includes birds. Within minutes of where we stayed I saw redshank, turnstone, curlew, ringed plover, common gull, skylark, shelduck, red-breasted merganser and sanderling. 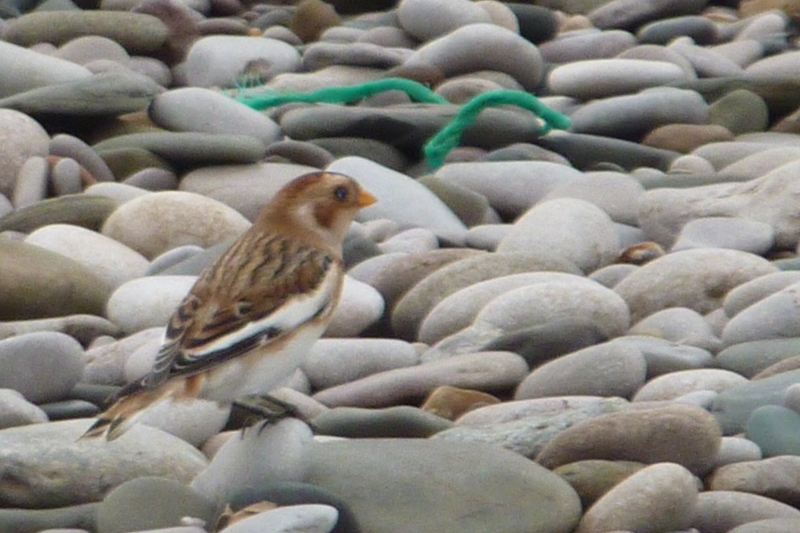 The highlight though was a snow bunting. I saw it two days on the trot but then, sadly, it was gone. The photo above is a bit blurred as my wife took it on her digital camera, but it comes out quite well.